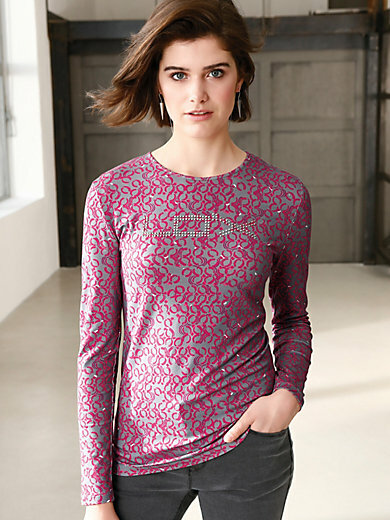 Top by LOOXENT: the exclusive graphic print in a fashionable new colour combination and the shimmering LO‘X logo made of flat studs on the front make this top stand out. 95% viscose, 5% elastane. Length approx. 25ins. The top is machine washable.